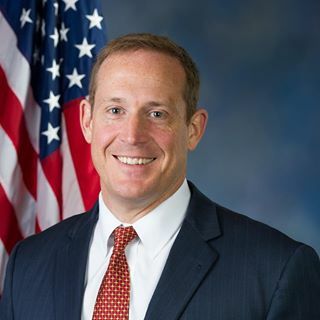 Ted Budd represents North Carolina's 13th Congressional District and is serving his first term in the 115th United States Congress. Ted brings an outsider’s perspective to Washington having never held elective office. When an opportunity presented itself after redistricting opened up North Carolina’s 13th Congressional District, Ted decided to run and offered to bring an outsider’s perspective to our nation’s capital. As a freshman, Ted sits on the Financial Services Committee where he plans to use his real world experience to roll back the restrictive regulations that strangle job creation in this country. Working at a young age for his family’s janitorial and landscaping business, Ted learned the importance of work ethic and common sense decision making. Ted and his wife Amy Kate have three children and live in Davie County, NC. As a strong Christian family man, Ted is worried about the direction our nation is heading and looks forward to working in Washington to create a better country for the next generation. He holds an MBA from Wake Forest University and a Masters in Leadership from Dallas Theological Seminary.